This Memorial Day coincides with the 50th anniversary of the U.S. military’s first major strike against the North Vietnamese. Nearly 60,000 American troops would die in the Vietnam War. Many of the troops were Latino. But to this day no one knows exactly how many. Freddy Romero is among those who came back. But when he marched off to war nearly 50 years ago, his sense of geography wasn’t the best. “I didn’t know where Vietnam was. I just thought; I’m going to China,” laughs Romero. He was like a lot of kids from East L.A. who came of age during the Vietnam War. His family didn’t have much money. He flunked out of college. So, at the tender age of 17, he signed up with the Marines. Romero shared this story with students from Pomona College for an oral history project led by Tomas Summers Sandoval, a professor of history and Chicano studies. The Pomona College professor is also the son of a Vietnam War veteran. 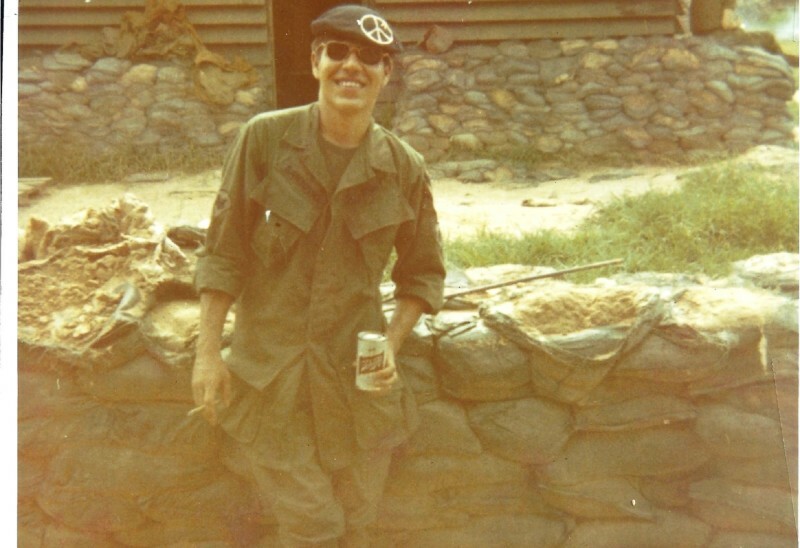 “One of the earliest memories I have is of this green photo album of all my dad’s pictures from Vietnam,” recalls Summers Sandoval, sitting in his university office on a recent weekday. Summers Sandoval began asking questions about his father’s war experience and that of other relatives who also served. Looking back, says Sandoval, it seemed like everyone in his community had a connection to the Vietnam War. Yet the sacrifices of Latino Vietnam War veterans have never been fully measured. At the height of the war, around 10 percent of U.S. residents were Latino. But a study from Cal State Los Angeles found that Latinos made up about 20 percent off all U.S. troops killed in Vietnam. But that research covered only the first few years of the conflict. Summers Sandoval is going further, scrutinizing census data and causality reports to finally learn the true number of those lost. Just as important is capturing the real-life stories of veterans like Freddy Romero -- and in the process painting a fuller picture of Latino enclaves across California before and after the war. A lot of Latinos didn’t qualify for deferments because they were high school dropouts or were not enrolled in college. In one of over a hundred interviews recorded by Summers Sandoval and student researchers, veteran David Lopez remembers what a high school counselor told him when he turned 17. In a recording of this interview, Lopez explains how he went into a Marine recruiting office and told the recruiter he wanted to sign up right away. He wanted an infantry position and he wanted to ship out ASAP. Summers Sandoval asks him why he chose the Marine Corps. While thousands of young Latinos were swept into the military, others were fighting against the war. This year also marks the 45th anniversary of the Chicano Moratorium, when thousands of Latinos flooded into the streets of East L.A. in August 1970. One veteran told Summers Sandoval that he returned from Vietnam just in time for the protest -- and the violent clash with police that shattered it. In another recording from the oral history project, Victor Chavez said he never questioned going to war in Vietnam, until he got home. “You know I sat there for a year really wondering what the hell did I do, what did we do,” says Chavez. But Chavez says the military also gave him direction. He got married and raised a family. He enrolled in college and eventually become a high school principal in the El Monte Union High School District. Summers Sandoval says Latino veterans actually tended to do better economically than Latinos who didn’t serve. “Higher income, more likely to have a college education, to be a homeowner, all these kinds of things we use to measure economic success,” says Summers Sandoval. After Sunday Mass at Holy Name of Mary Church in the city of San Dimas, Joe Martinez shows off an enormous display of framed pictures. They’re portraits of Vietnam and World War II veterans, lined up alongside active-duty Marines and soldiers. “This particular shelf here is the ones who are currently serving from our parish,” explains Martinez. There’s an old sepia-colored picture of Martinez’s father from World War II. A more recent portrait of Joe Martinez is there too, in his Marine dress blues. Martinez enlisted in the Marine Corp in the early '60s just before things heated up in Vietnam. He was among the first wave of troops to be deployed in the summer of 1965. 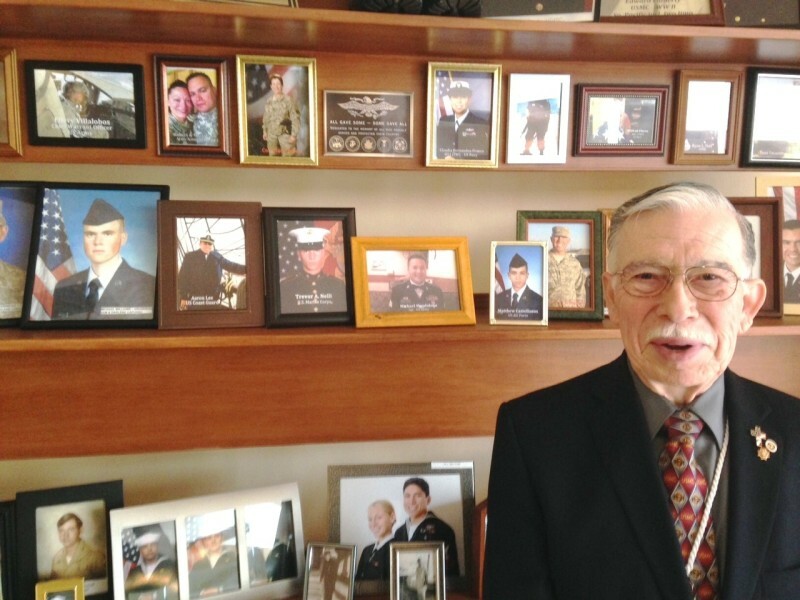 “And I volunteered to go flying as a gunner, and I flew 41 missions,” recalls Martinez. 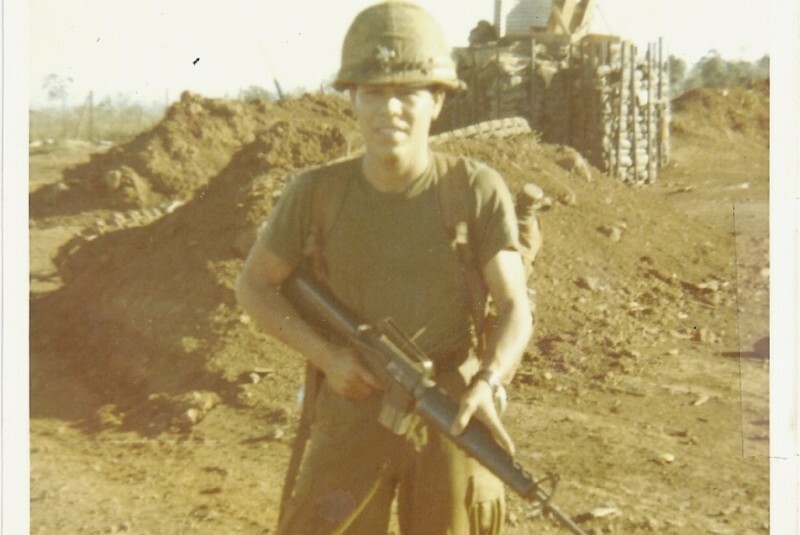 After serving in Vietnam, Martinez spent about 25 years in the Marine reserves and launched a successful career in the insurance business. Now he helps run the parish’s Stars and Stripes Ministry, dedicated to veteran issues. Heroism on the battlefield is widely celebrated in popular films and on national holidays. But Summers Sandoval says his research also looks at the kind of quiet heroism that went on after these veterans returned home from Vietnam. Summers Sandoval’s book chronicling the experiences of Latinos in the Vietnam War is due out next year. Audio recordings of the veterans interviewed for the ongoing oral history project are being archived at the Library of Congress.